Empowering our local communities and fostering firm-wide camaraderie through employee-inspired giving. Friedman Gives Back proudly exemplifies our core values through our commitment to serve our local communities. We create relationships with not only our clients, but with the people who live and work in the communities where we operate. Interested in learning more about Friedman Gives Back and how our employee-inspired giving is impacting local communities? Contact us. 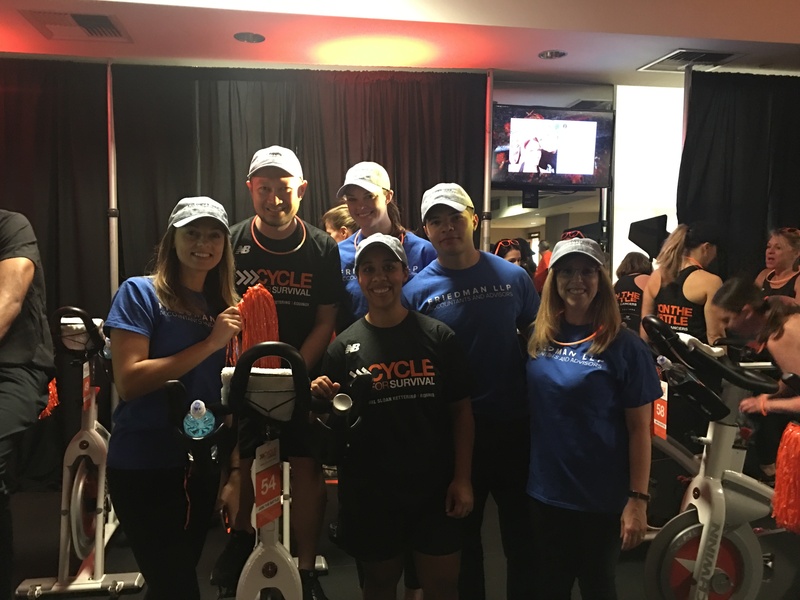 Friedman employees participate in Cycle for Survival to raise funding for rare cancer research. Ranked among the "Best Places to Work" by Inc. Magazine and throughout our local regions.